I worked with Leviathan to generate real time point cloud visualizations for the Genetic Matching Room in Disney World's Avatar: Flight of Passage virtual reality attraction. 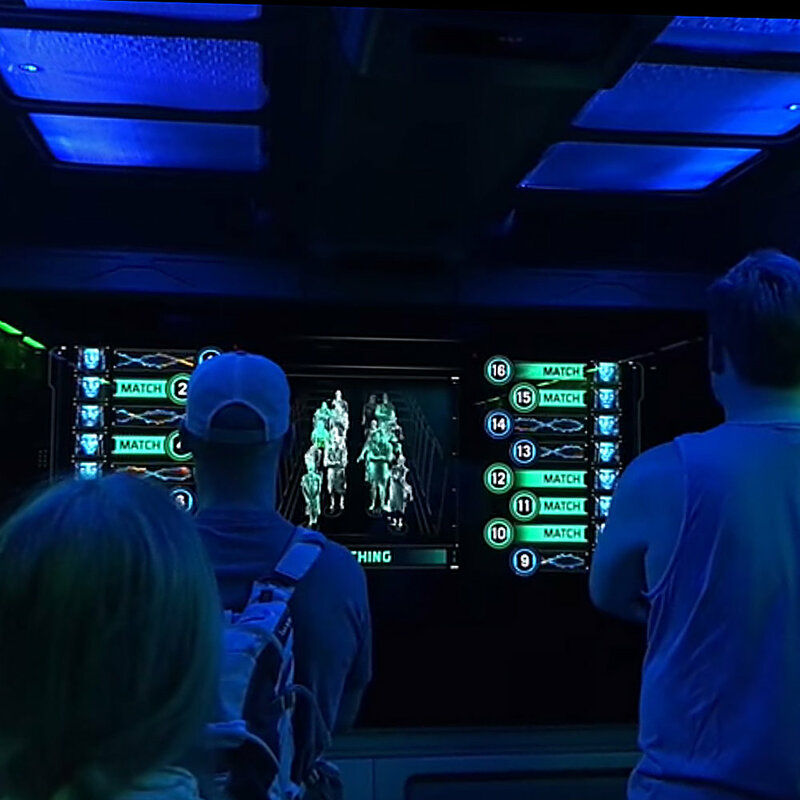 In this room, visitors are about to be connected to their Avatar, but first must undergo a medical scan of their neuronal health. There are a total of 12 rooms, each with four Kinect cameras capturing up to 16 visitors. I created a modular VJ-style system of different point cloud styles and effects that could be synced to story moments and real world lighting cues. Modules included various kinds of glitch and noise displacement effects, individual isolation, GPU particle systems with goal shapes, and a render layer and compositing pipeline. Sadly, the more sophisticated effects and lighting rigs didn't make it to the final experience.